Paul Robeson came to New Zealand in the spring of 1960, playing two concerts in Auckland, visiting Christchurch and Dunedin and exchanging songs with the watersiders in Wellington, on which occasion the Maritime Union made him a lifelong member. According to biographer Martin Duberman, the US consul in Auckland was pleased to report back to the State Department that ‘no civil reception or other formal type of welcome was tendered to Robeson during his stay’, for that was still his status: that of an enemy within, formerly deposed by the House Committee on Un-American Activities and only recently allowed to leave the country again after an eight-year domestic exile in which he was denied his passport. Robeson’s tour of New Zealand and Australia was a direct outcome of that regained freedom. There are still those who remember it. Now Paul Robeson is back in Wellington for a series of shows at the Fringe Festival. Tayo Aluko’s Call Mr Robeson: A Life in Songs is a fitting tribute to the great man: a fully rounded study that doesn't gloss over the problematic aspects of his life and politics – including his sympathies for Stalin – and revives his art through the performance of some of his best-known songs. The play is didactic, which is no slight: it fits on the contrary within a tradition of art and instruction in socialist and trade union circles. I was especially glad in this regard to have taken my 13 year old son to see it. Plus, as I say, Call Mr Robeson is not a work of hagiography or propaganda. In selecting the salient moments of Robeson’s life, Aluko avoided the danger of enumerating his achievements – pioneering athlete, valedictorian, actor, singer, militant, polyglot, musicologist – without also accounting for the steadily mounting toll that celebrity, the sense of responsibility to his own people, and McCarthyism and the FBI exerted on him. Thus from the outset Aluko’s Robeson is a burdened man, and that burden ends up becoming the true subject of the play, along with the space-filling sound of Aluko’s voice. Some words on that space must be spent as well: The Moorings – a grand and picturesquely decaying ex-boarding house in Thorndon, so-named because of its nautical theme – is a category 1 historic place I had never had the opportunity to visit before. By being so overtly endowed with its own history, it re-localises Robeson’s life, setting it in the colonial South Pacific. This is not an entirely extravagant distortion, insofar as Robeson was a proud internationalist and is reported to have spoken in support of Māori rights during his brief visit to this country. But the effect isn’t merely literal. 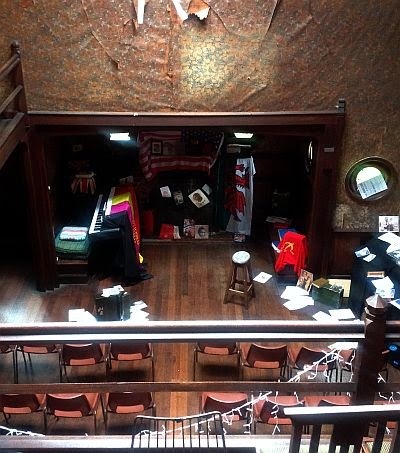 To tell the story of Paul Robeson in an old villa in Thorndon makes that story mean other things. It reactivates a largely hidden past of social upheaval and activism. That was the latent energy in that room, or so it felt. The present tense of the performance produces shifts in both time and place. I knew very little of the Peekskill riots before seeing the show, but as Aluko/Robeson recalled them my mind filled with pictures of the Springbok tour (those human chains facing the police and an angry crowd…). And while Robeson’s refusal to play to segregated audiences spoke of a specific time and place, his campaign against lynchings has deep echoes in our time, when still we need to cry that black lives matter. History, then, seems to have passed both fast and slow, as it always does, asking us to measure the progress made against what is yet to be done. The artist must take sides. He must elect to fight for freedom or slavery. I have made my choice. I had no alternative. 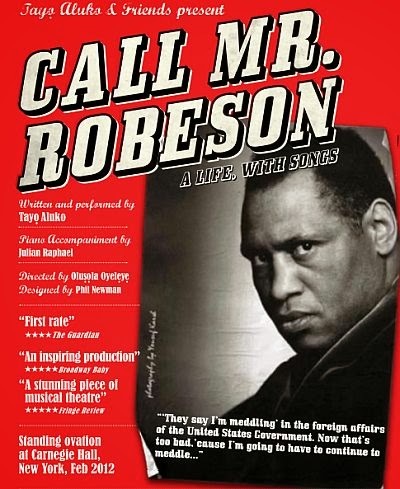 Call Mr Robeson: A Life in Songs (written, produced and performed by Tayo Aluko; direction and dramaturgy by Olusola Oyeleye) is showing at The Moorings in Wellington from February 26 to March 1, then at the Adelaide Fringe from March 4 to 15. There is something especially abhorrent about propaganda aimed at children. You don’t need to share in the belief that hatred must be taught in order to recoil when it is peddled to young minds. Yet the manner in which this is done is deserving of careful attention and study. Consider for instance how gender discrimination was – and is – perpetuated in school texts even in relatively liberal societies. Those messages, which are borne of and lead to oppression, have to nonetheless seem positive in order to be viable for the instruction of children. In the 1970 American children’s book I’m Glad I’m a Boy / I’m Glad I’m a Girl, for instance, having gender-conventional aspirations guarantees both collective happiness and individual fulfilment. Fostering explicit hatred for specific groups can be a more difficult matter. In Christian Sunday School, deviations from accepted social behaviours might be presented as attributes of the devil, therefore a threat to the overall order. But the mass-hysteria of anti-semitism required more than cautionary admonishments or the appeal to lines in the liturgy of the day about the crime of deicide. 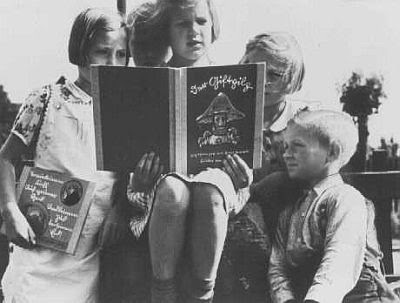 This gap was filled by books like Der Giftpilz (‘The toadstool’), in which a mix of fear and hate for Jewish people was inculcated into German children via a sequence of horrifying moral vignettes. 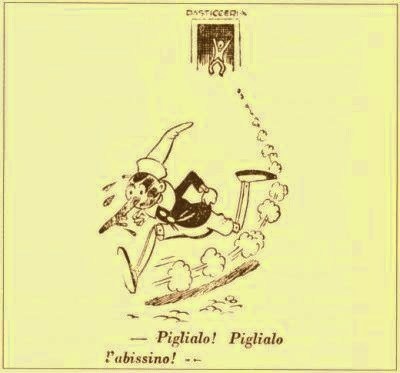 Along similar lines, the reinterpretations of The Story of Pinocchio in Fascist Italy served the dual function of contemporary propaganda: to establish and glorify the virtues of the perfect Fascist citizen, on one hand, and to caricaturise domestic dissenters and foreign enemies, on the other. The literary scholar Luciano Curreri recovered and published four such texts in his 2008 book Pinocchio in camicia nera (‘Pinocchio wears the black shirt’), and they make for chilling reading. 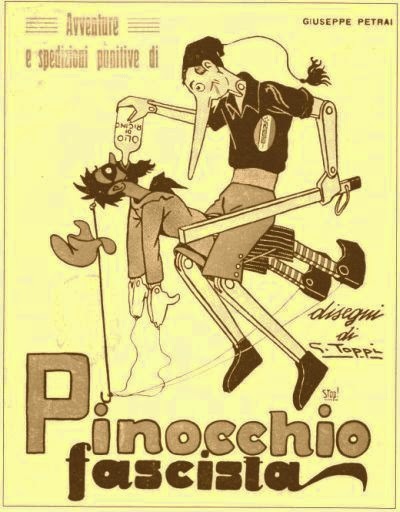 I alluded before to The Adventures and Punitive Expeditions of Fascist Pinocchio, which picks up some years after the end of Carlo Collodi’s book, although the protagonist, mysteriously, is still a marionette, and sports a permanently elongated nose, likely for the purposes of a virile visual pun. This was published in 1923, which is to say during the beginnings of the regime. 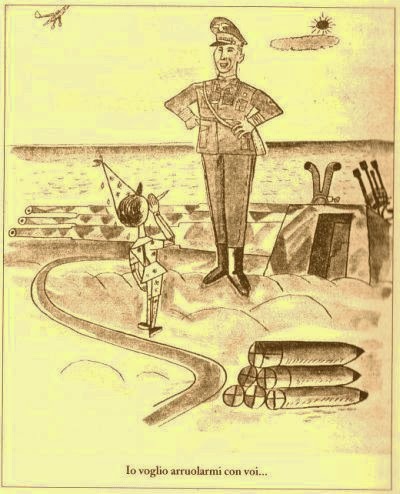 The last reinterpretation, Pinocchio’s Journey, is dated 1944, and is as bitter as The Adventures was brash in its call for Italians to uphold their honour and fight to the end on the side of the formerly allied, now occupying Nazi army. Within the arc that separates these two texts is a catalogue of Fascist doctrine that is barely infantilised, insofar as the rhetoric of the regime addressed the adult population as children to begin with. But with a twist: that the core messages – anti-communism, racism, praise of black-shirt violence and the imperial wars in Africa, necessity not to ‘betray’ Hitler after the armistice of 1943 – were re-coded inside a story so well-known as to have achieved the status of universal popular myth. 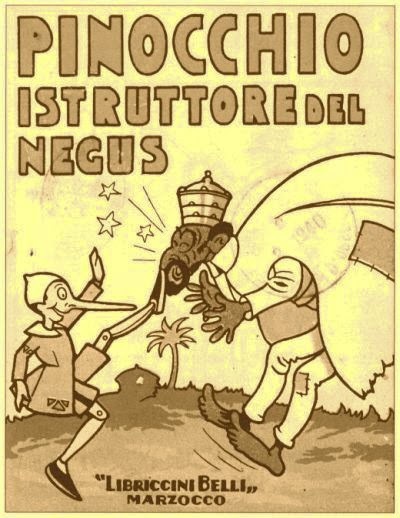 In fact The Adventures of Pinocchio – even before these Fascist interventions and Disney’s radical 1940 reimagining – started being retold almost as soon as it was first published as a book, in 1883, as various authors and publishers sought both to ride its popularity and to domesticate its intractable, apparently contradictory moral messages. In an inversion of the trajectory of present-day Hollywood remakes, it was Carlo Collodi’s original that was the dark, gritty fable, full of dread, arbitrary punishments and cynicism concerning the prospects of the newly unified nation. Whereas the reinvented Pinocchio must cast off all doubt and embrace the optimism of the Fascist will, through a knowledge that comes not from books or education, but from the heart, that the cause of his violence is just. This is the Pinocchio of 1923, who inflicts lesson after lesson upon the cowardly Red, forcing him to gulp down castor oil, the ritual humiliating punishment of intellectuals and other opponents to the regime. That shocking cover image of Pinocchio as a black shirt ‘punisher’ encapsulates the aim of this version, which is to glorify Fascist violence. 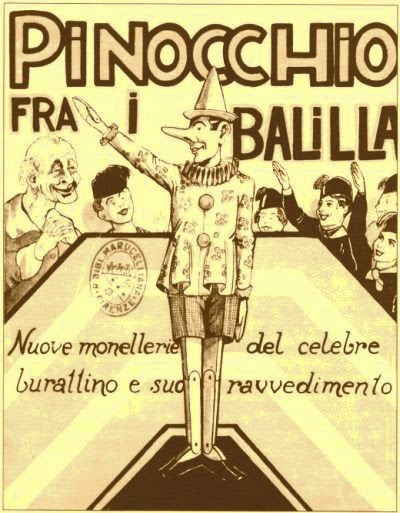 The 1927 Pinocchio Among the Balillas is a smidgen more faithful to the source by re-tracing the old didactic route, and chronicling the puppet’s trials as he learns to abandon his lazy, wanton ways and accept to be recruited into the paramilitary corps into which Italian real live boys were automatically inducted as they went to school. During the imperial phase of the regime, when Mussolini proceeded to secure the nation’s ‘place in the sun’ by means of a series of ferocious military campaigns in Africa, the pedagogy of Fascism turned towards painting the portrait of the colonised peoples as meek, cowardly simpletons barely deserving of the privilege of becoming Italian subjects. The farcical Pinocchio Tutors the Negus contributes to this effort. At the outset, Pinocchio accidentally blackens his face while stealing chocolate, and the robbed shopkeeper shouts after him ‘catch him, the Abyssinian!’ Astoundingly, the book goes downhill from there. But the most horrifying and altogether tragic of Curreri’s finds is Pinocchio’s Journey. Published in 1944 – which is to say during the Nazi occupation of Italy – this version chronicles Pinocchio’s growing discomfort as he witnesses his compatriots celebrate the fall of Mussolini and cheer for the liberation of the country by the Allied forces. By making no mention of partisans and the Resistance, Pinocchio’s Journey portrays the civil war as a choice between fighting alongside the unjustly maligned former ally or cravenly waiting to be invaded by the former enemy. Rejecting the entreaties of the Cat and the Fox, Pinocchio chooses the former, and – in the book’s most arresting scene – implores an SS officer to take him as a volunteer. The officer need not reply: what use could a marionette possibly be to the mighty German army? Yet Pinocchio, as if in a grotesque vision, has his wish granted as the Blue-Haired Fairy sends for a dove to carry him to the battlefield. Thus, as the last line of the book triumphantly declares, he will finally become not merely a boy, but a man. There are many sinister echoes of this, the wrongest of all versions of Pinocchio, in the Berlusconi-era wave of revisionist films and books aimed at rehabilitating the Italians who chose to side with Nazism in our two-year civil war. There is also a shred of sardonic truth in its warning that the erasure of the symbols of the regime – which began in earnest the day after Mussolini was deposed – cannot, will not by itself remake our history. The Fascist Pinocchios, then, are as much a ghastly document of the past as a creepy premonition of what might yet be, in a nation as bad as remembering its history as its fables. When Lavrentiy Beria, the former head of Stalin's secret police, was executed following a secret trial ordered by Khrushchev, his fawning entry and full-page portrait in the Great Soviet Encyclopaedia had to be swiftly expunged. 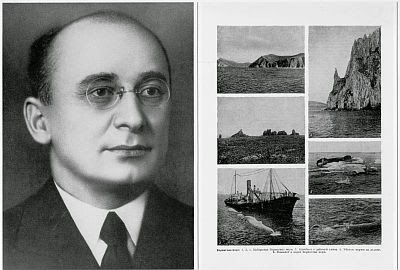 Thus subscribers to the publication were sent four replacement pages with photographs and extra information about the closest existing entry, on the Bering Sea. This minor episode is almost a post-script in The Commissar Vanishes, the book by British photo-historian David King on the systematic falsification of the photographic and artistic record under Stalin, yet it is particularly telling: firstly, in that it occurred after the death of the tyrant, thus representing a continuity in a two-decade history of revision; but even more so because of how this revision can be seen to operate. That is to say, not centrally, through a dedicated office and a staff of ruthless trained operatives, but rather by relying on the readers themselves, owners of a book suddenly found to contain an impolitic truth, to act as censors. It was up to them to take the new insert and 'update' the encyclopaedia. King has more disquieting examples to offer, from a darker era. Upon visiting the family of the great photographer and designer Alexander Rodchenko, he comes upon his personal copy of Ten Years in Uzbekistan, a book commissioned to him by Stalin in 1934 featuring the portraits of local revolutionary heroes. But the copy is crudely vandalised, the faces of since-disgraced individuals blackened with China ink by – presumably – Rodchenko himself. It is the kind of fealty that Stalinism asked of its subjects: a disciplined willingness to forget and rewrite history on command. For you wouldn’t want to be found in possession of an intact copy. King's book, originally published in 1997 and re-issued last year following the expansion of the author's archive with new contributions by its readers, is a morbidly fascinating and chilling document, each deletion, whether by ink or scissors, hinting at the gruesome fate of the disappeared: exile or, more likely, summary execution. In a minority of cases, such as Beria's, it's hard to feel sorry for the victim of this machinery for destroying lives in the past as well as present tense. Nikolai Yezhov is another such example. He, who was a vital cog in that machine, the chief butcher of the Great Purges after whom the term Yezhovshchina – shorthand for the terror – was coined, and who ultimately suffered a fate that barely rates as ironic: first killed, then erased, or possibly both at the same time. Stalin's friend and henchman no more. 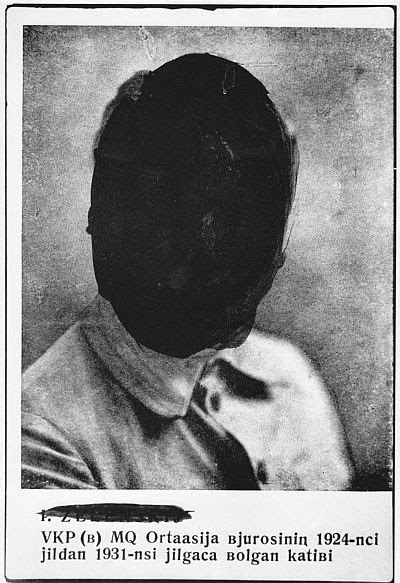 Of the examples collected by King, the ones involving artful removals or insertions may speak to the contemporary reader more than the rough, heavy-handed blackening or cutting out of faces. Absent the privileged access to the original of the historian or archivist, we could easily fall for these images. The techniques, since refined, are familiar, and are used routinely by amateur photographers and professional artists alike. We all know how easy it is to do this, yet it's so hard to disbelieve in the evidence of our eyes. This photograph appeared on the front page of the Los Angeles Times of March 31, 2003. It shows ‘a British soldier directing Iraqi civilians to take cover from Iraqi fire on the outskirts of Basra’ and was taken by Brian Walski. It is also a fake, and it may have gone unnoticed had not a keen reader spotted that some of the figures in the background appear twice. 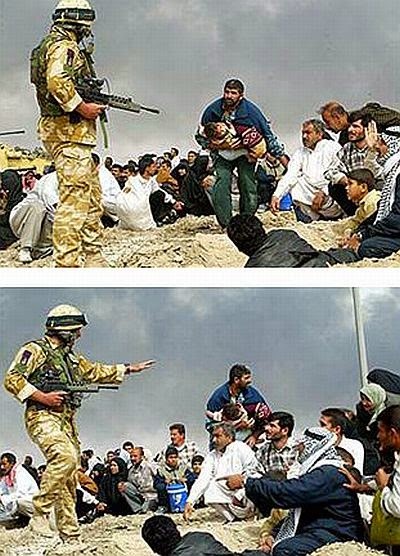 Quizzed by the Times editors, Walski admitted to have combined the image from two separate shots, in order to ‘improve the composition’ (which led to his firing). 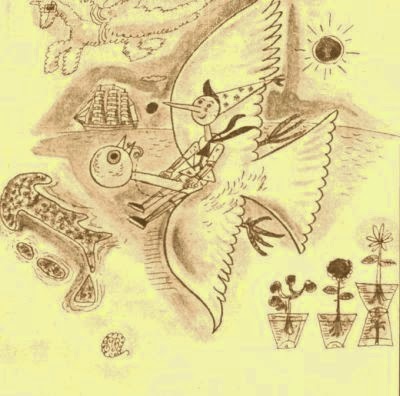 These are the source images. 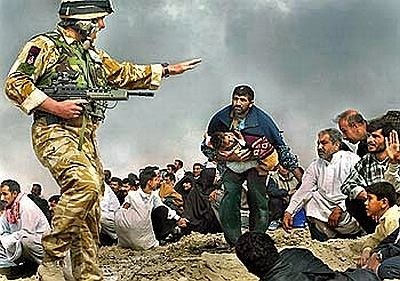 The resulting fake, far from being merely more pleasantly composed, portrays the soldier in a much less threatening pose relative to the man carrying the child, thus substantially altering the meaning of the photograph. We are poles apart from the malevolence of Stalin-era manipulations, obviously, but a degree of unease is justified, along with the sense that the always uncertain status of the photographic real (for falsification is as old as the medium) is becoming ever more ambiguous and difficult to uphold. A recent feature introduced by Google to the photo archives of its users, and that I hinted at not long ago here, automates the precise kind of montage work carried out by Wolski by taking the best features of two or more shots in order to produce an ideal image that, while plausible and possibly ‘as good as real’ – at this stage we’re talking about nothing more sinister than picking your best smile or the shot in which you had your eyes open – will capture a moment that never existed in time. Possibly closer to Stalin’s heart is a software under development by the Max Planck institute aiming to enable users to automatically delete people from videos. All these connections are tempting to make, but the lesson of history is another: no matter how advanced the technical means of altering the public record become, our realities are socially constructed. That’s what makes so poignant the cases of Beria and the Great Soviet Encyclopaedia, of Rodchenko and his China ink, and of the innumerable Soviet citizens who defaced their books and photo albums with razor blades and scissors. Always the act of falsifying the collective past requires the participation of the many, whether willing or extorted through fear. That is why those images, those acts requiring the least technology, are the most unsettling. This may yet be how we are asked to be forgotten. David King. 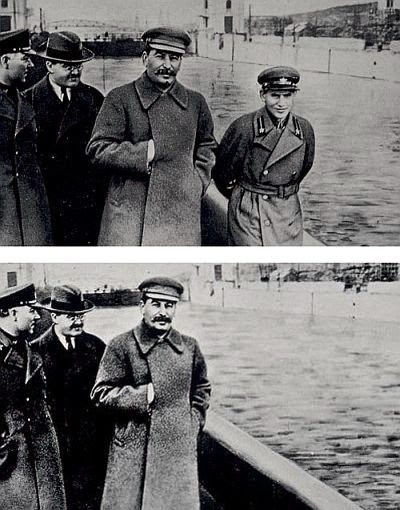 The Commissar Vanishes: The Falsification of Photographs and Art in Stalin's Russia. London: Tate Publishing, 2014. Over the weekend I sat on a panel on education hosted by Young Labour in Wainuiomata. I was very glad to hear Sandra Grey and Rory McCourt say sensible things about the need to drag universal access to lifelong learning back into the realm of the thinkable, which I regard as an urgent political and social goal. My task was to talk about school inclusion and its challenges. In both cases, the problem of how to think progressively about the issue pushes us headfirst against an ideological barrier. It is a very broadly disparaged yet ultimately successful ideology – it will do to call it neoliberalism for my present purposes – that has naturalised the notion of tertiary education as a private good, and increasingly primary and secondary education as well. What still goes by the name of ‘special education’ (a name that encapsulates and refracts aspects of that ideology) is also a fissure through which we can observe the privatisation of the idea of education more broadly. The current regime for funding special education was set up by the National government in 1995 with the passing of Special Education 2000, but is part of the longer reform programme launched by Labour under David Lange, who was Minister of Education when Tomorrow’s Schools was launched. Neoliberalism is just an inflection of capitalism, so it's hardly unique in placing its faith in the free market. Nonetheless, it distinguishes itself for the unshakeability of that faith, and for reflexively viewing all non-economic problems through the lens of the free market. Thus Labour and National introduced competition among state schools that had no business competing with one another, under the ideological assumption that this would cause parents to reward the best schools with their business (ie their children) and improve education. But education isn't a consumer product nor, more importantly, are children consumers. Children are citizens whose equal right to education is unequally met. Like all other citizens, children come from a range of socio-economic backgrounds and in a range of abilities. And while the reforms didn't quite erase the first difference – by granting greater funding to schools in poorer areas through the decile system – they obliterated the second. 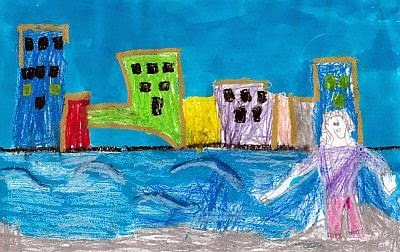 Absurdly, our education system views disabled children as privileged consumers: for it gives them a special voucher that they can spend at any school in the land, public or private, thereby giving them more choice than regular children; for it is so committed to their unique needs that it asks school to rate themselves (and not be rated by the people who attend them, mind) about how inclusive they are, reflecting a top Ministry-wide priority; for it designs specialist programmes and provides specialist advice. This attitude is reflected in the two principal means for funding (therefore delivering) special education in Aotearoa: the school voucher known as ORS that goes to individual children, and the Special Education Grant that goes to every school. As I have documented through our experience with our daughter, the voucher is allocated through a competition for a limited number of places as opposed to an assessment of objective need aimed at discovering how many children actually require extra support. This reflects the unstated but otherwise utterly transparent belief on the part of the Ministry and our lawmakers that receiving the voucher is an advantage as opposed to a dire necessity. The case of the Special Education Grant, while less directly injurious to individual children and their whānau, is equally if not more symptomatic. The Grant is designed to supplement a school's operations fund to pay for the learning support needs of disabled pupils. Therefore you might reasonably expect each school to receive it in an amount proportional to the number of disabled children on their roll. The Special Education Grant is allocated to each school based on its raw number of pupils. So a school with one thousand children will get ten times as much money as a school with one hundred children, even though the latter may actually have more children with special needs on their roll. This is not a hyperbolic example: so-called magnet schools are a reality of our education system and are often victims of their own success at including children of all abilities. I’ve discussed this phenomenon before in the context of the perverse incentives towards exclusion that Special Education 2000 has created. These incentives are well-documented, yet they have been left unaddressed by successive governments for 20 years. This is all ground I have covered before: indeed, it is the lot of the advocate to have to go through the same issues over and over again, boring oneself as well as others. What I want to emphasise today is the link to the ideology that underpins our reforms. The Special Education Grant must be disbursed to schools irrespective of the number of children with special needs on their roll, because to do otherwise would mean allowing that school competition has a cost. Only if the model worked in its purest form would children of different abilities be distributed in a statistically uniform fashion. But the model doesn’t work, let alone perfectly. The ablest and wealthiest children are much freer to move, and are more easily drawn to the schools that spend money on attractive facilities rather than learning supports and teaching staff for disabled pupils, thus directing greater resources to those schools. In the crudest possible terms: your child can afford to choose to go to a school that isn’t inclusive; my child can only choose to go where she is accepted. Therefore your child’s freedom of choice undermines my child’s right to an education. It’s only fair to point out that I too subscribe to an ideology, which I own along with its history and its hope, its errors and its crimes. If our darkening century carries forward but one aspect of it, I hope it’s the slogan that Marx borrowed from Louis Blanc (and that goes back even further, for communism is an old idea): ‘From each according to their ability, to each according to their need.’ Our aspirations for our daughter are encapsulated in that phrase: that she may be regarded in life and not just at school as a full human being, with needs and desires and her own capacity for expression to be nurtured and valued; instead of as a burden, a problem, a faulty economic unit of production and the passive object of lifelong care.